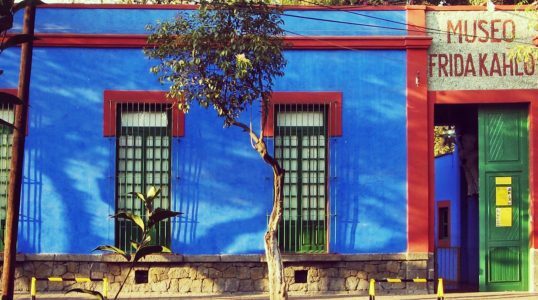 Mexico City's Frida Kahlo Museum is located at the home of the famous 20th century artist, Casa Azul. Besides her artwork, the museum also includes objects related to her everyday life. In 1958. four years after Frida Kahlo's death, her husband, Diego Rivera, opened the museum in her memory.